The Governors of California and Oregon joined Interior Secretary Sally Jewell today at the mouth of the Klamath River in Northern California to sign agreements that are expected to lead to the removal of four hydroelectric dams and the restoration of salmon and steelhead runs over 300 miles of river habitat. Supporters of a resolution to one of the West’s most protracted water wars made their way to a remote location on Northern California coast to witness the signing of two major agreements Wednesday that could make history. 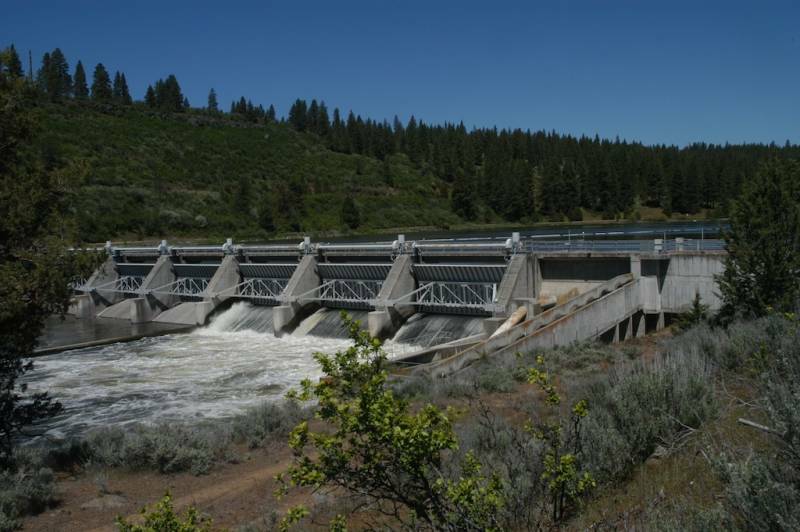 The new deals move the region a big step closer to the removal of four dams on the Klamath River, which runs through Southern Oregon and Northern California. It also ensures that farmers will not be financially responsible for restoration of salmon runs once the dams are gone. California’s Gov. Brown expressed optimism that the agreements signed Wednesday would have a lasting impact.